The middle of summer usually means a few things. 1 – I’m extremely tan. 2 – I’m ready for a vacation. 3 – I am completely sick of grilling. 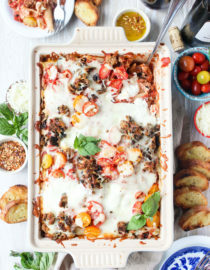 When the weather gets scorching hot, the mere thought of cooking makes me cringe. So when I need a healthy, lean, protein-packed meal without relying on heat, I start whipping up smoothies. 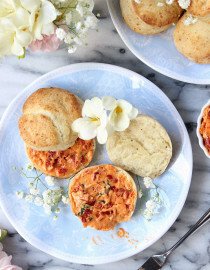 They’re a refreshing, COOL, tasty-as-hell treat that doesn’t mess with your summer eating routine. It’s like a milkshake, but healthy. Like every woman who’s 25+ (this is my official age) Greek yogurt is a major part of my eating routine. 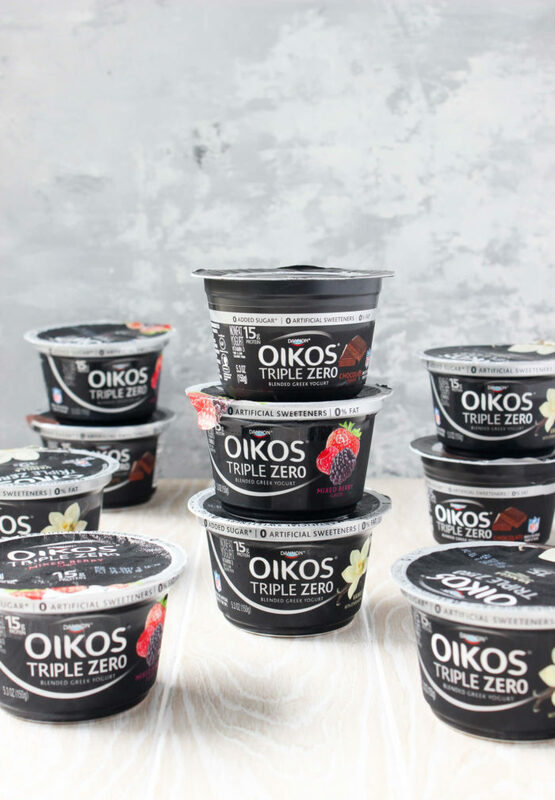 There’s a lot of brands to choose from, but Dannon® Oikos® Triple Zero is my favorite. Not only does it contain no added sugar, minimal net carbs – it has fiber! 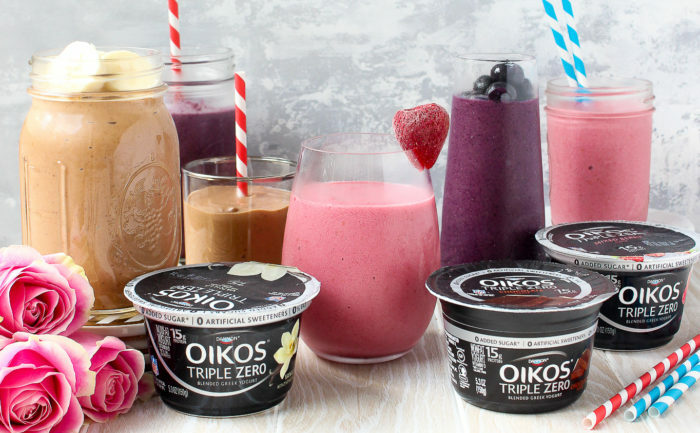 most Greek yogurts don’t – and tastes amazing, the flavor options are incredible. Coconut Crème? Chocolate? 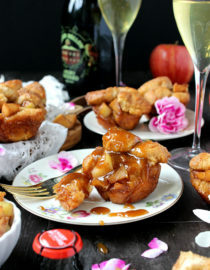 Salted Caramel?! Their variety of tastes allows me to mix up my diet while staying cool, so they’re kind of my secret weapon. When I need a quick snack or a light breakfast I’ll simply eat a single-serve cup on its own. 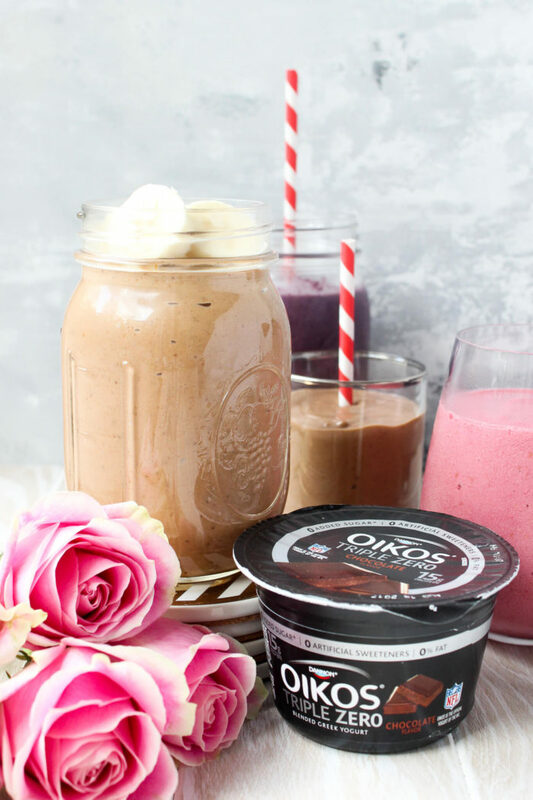 Or if I’m craving a mid-week dessert, an Oikos Triple Zero + cacao nibs really does the trick. But when I need a meal that’s fresh AND super-filling, I start making smoothies. 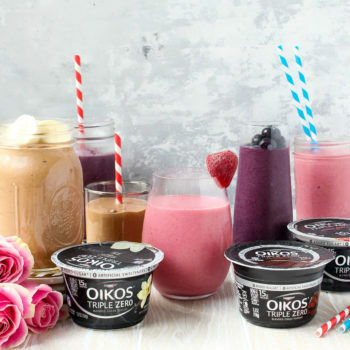 Since everyone’s ideal smoothie is a little different, I wanted to offer up variety with this post. 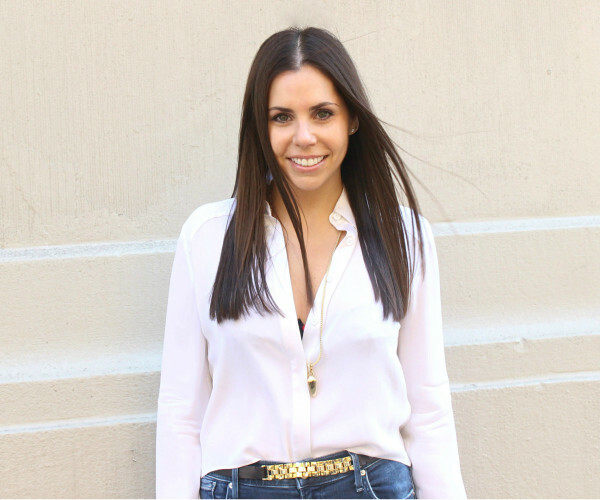 So rather than show you just one smoothie recipe, I’m giving you THREE! Each can easily be customized to fit your own tastes and cravings, so consider them a guideline. 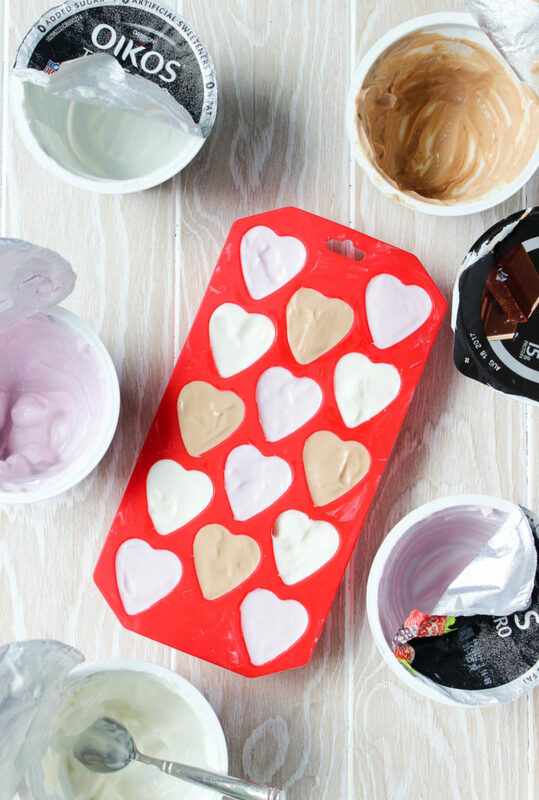 A little creativity goes a long way in the smoothie game, so don’t be afraid to get experimental. 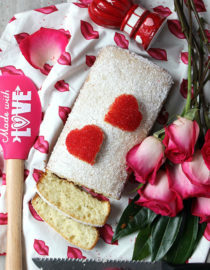 I decided to work with three flavors that I felt had the most mass-appeal — Vanilla, Chocolate, and Mixed Berry. Each flavor is frozen in ice cube trays, making for easy handling when it’s time to prep your smoothie. 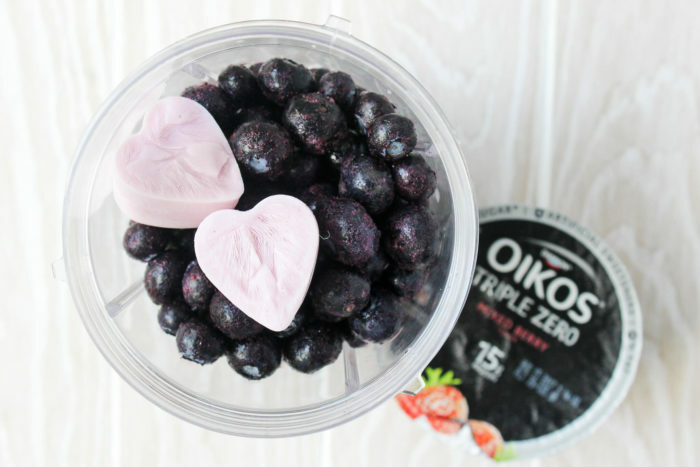 Simply pop out a few cubes of frozen Oikos Triple Zero, add fruit + milk, and blend! You can use any kind of milk here, so whether you prefer almond, soy, coconut, or skim, do what’s best for you. 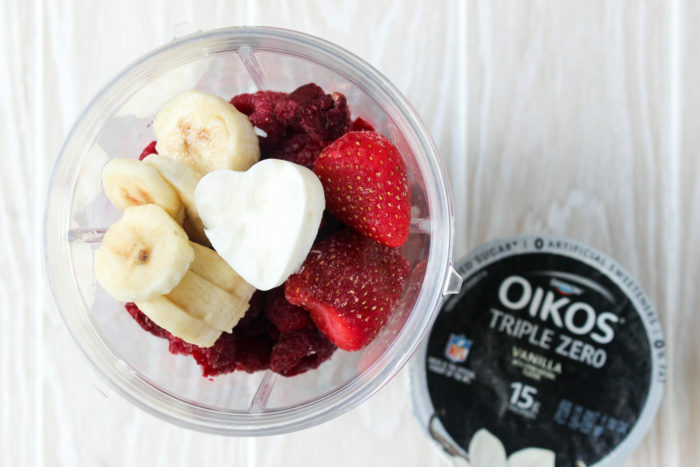 The strawberry crème is a combination of frozen strawberries, frozen raspberries, frozen banana, Oikos Triple Zero Vanilla, and milk. The taste is deliciously creamy and bright (that color!! ), so if you’re a strawberry cheesecake lover, this smoothie is absolutely for you. 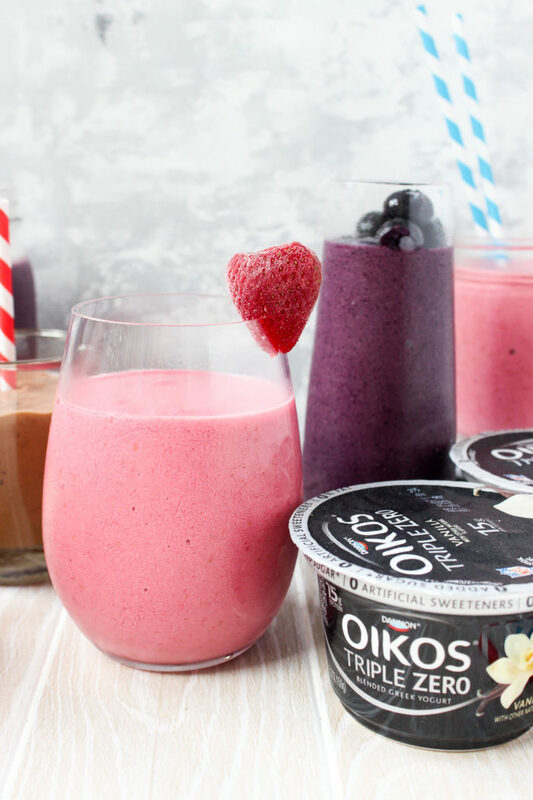 Lastly is the berry power smoothie, which is equal parts bold + refreshing. 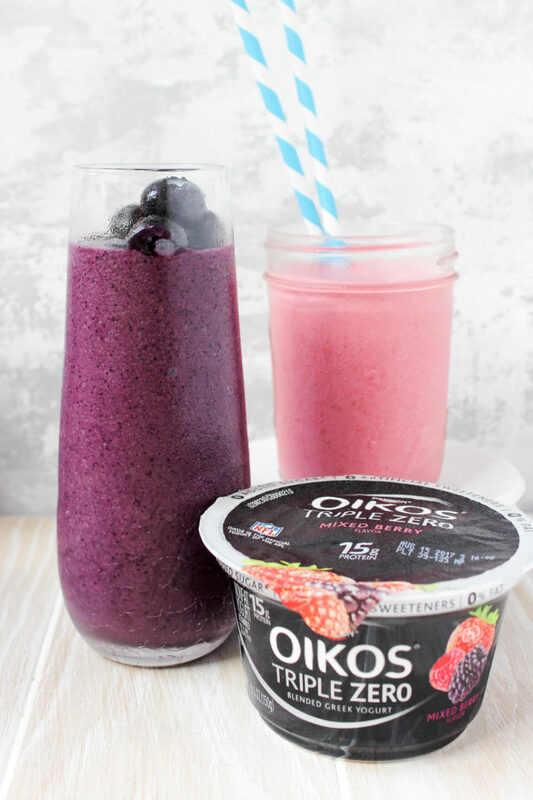 A simple combination of frozen blueberries, acai, Oikos Triple Zero Mixed Berry, and milk, this is my favorite smoothie for breakfast. It’s refreshing and crisp without weighing me down, so it’s the perfect choice to start my day. Regardless of which smoothie you make – why not all three?! – you seriously can’t go wrong. 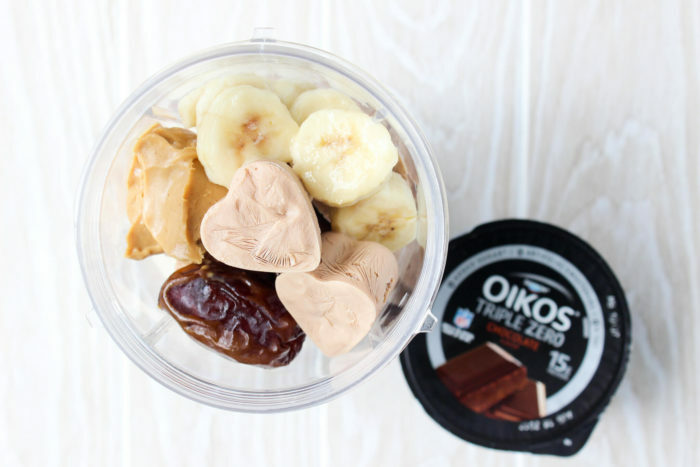 Each is packed with healthy antioxidants, loads of protein, natural sugars + carbohydrates (aka: the good stuff), and insanely delicious flavor. 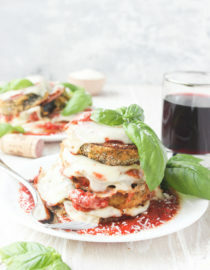 Sneak in a touch of hemp or pea protein for an added zinger, or just make them as is! 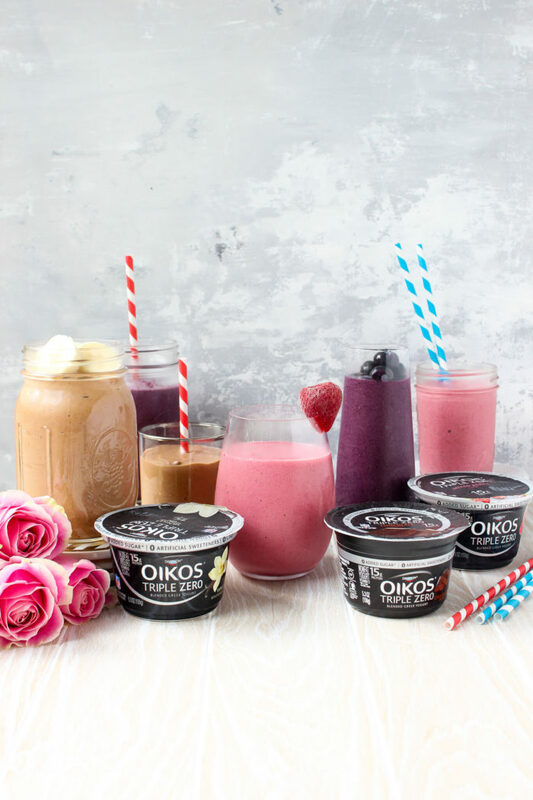 For each smoothie, evenly spoon the Dannon Oikos Triple Zero Greek yogurt into ice cube trays, then freeze for at least 3 hours until completely solid. One single-serve cup should render about 8 cubes. When ready, combine all smoothie ingredients in a high-powered blender, then blend until smooth. Drink!